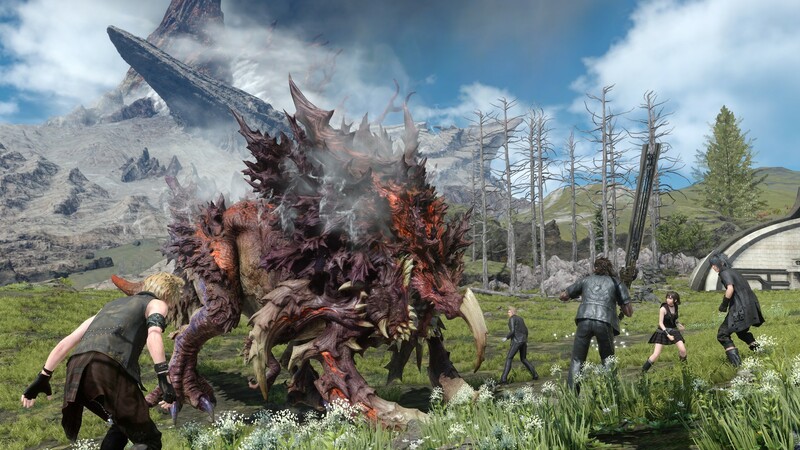 Final Fantasy XV will be coming to Windows 10 in a little over a week and Square Enix has announced that a free demo version of the game will be made available a few days before launch. The demo will give players a taste of the real-time combat, NVIDIA Game Works enhancements and characters that FFXV has to offer. You’ll be able to play the entirety of Chapter 1: Departure in the demo version, which should last about an hour or so. Steam – Access to the Half-Life pack which decks out Noctis in the HEV suit and glasses of Gordon Freeman. This pack also adds the iconic crowbar as a usable weapon in game. I guess Valve hasn’t entirely forgotten about the Half-Life series, they’ll still dust it off for a cross promotion. Steam purchases also includes access to the “FFXV Fashion Collection” which is comprised of various stat boosting tees for Noctis. Origin – Access to the “FFXV Decal Selection” which comes with a selection of alternate skins for the crew’s car. Windows Store – Probably the most interesting of all three services. The Xbox One version of FFXV is cross compatible with the Windows Store version, meaning that you can play the multiplayer Comrades expansion with friends who own the game on that platform. Save data can be imported from the Xbox One version of XV to the Windows Store version as well. Previously Square Enix also released the Final Fantasy XV Official Benchmark a couple weeks ago. That tool was supposed to give players a sense of how the game would run on their computers but as it turns out – some features like NVIDIA Hair Works couldn’t be disabled entirely and the Official Benchmark lacked all of the tweakable options that will come with the final release. Here’s hoping the upcoming official demo fares a bit better. Below are the previously released minimum specs and a run through of the official benchmark.